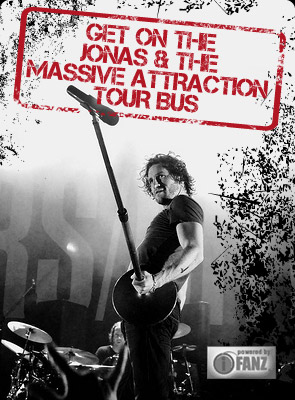 It’s been 10 years since the band released their self titled debut album “Jonas” and to celebrate, Jonas & The Massive Attraction are throwing a MASSIVE 10TH ANNIVERSARY PARTY in Montreal at the Virgin Mobile Corona Theatre on Saturday, November 29, 2014 at 8 Pm. The hometown rock & roll extravaganza will showcase songs from throughout the band’s 10 year history and some very special guests performing with the band. TICKETS ON SALE Saturday, August 23, 2014 at 12:00 Pm (EST). Tickets for this special all-ages event can be purchased on-line at BUY NOW, the Bell Centre box office or by calling (514) 790-2525 or 1-855-310-2525.